Intimacy and precision are signature to the special event locations at La Valencia Hotel. 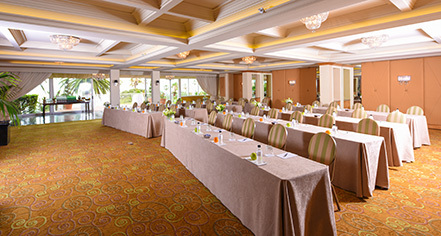 Three distinct indoor event rooms include: the commanding 6th floor Boardroom with leather executive chairs, oak table, and built in 72" plasma screen; the 7th floor mezzanine Galeria room above La Sala Lounge with coastal views, two petite Juliet balconies, and built in 72" plasma screen; and the elegant Verandah ballroom with ocean view reception entry and sunny outdoor terrace. Al fresco locations include the circa 1928 Garden above the pool deck and the entry courtyard MED patio with covered trellis. 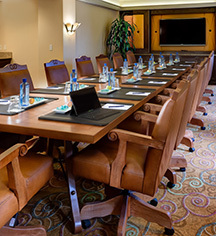 Group programs from 8 to 80 are ideal for La Valencia Hotel and the property hosts over 80 weddings annually, many as destination event bookings.